At Bronsky Orthodontics, we believe in quality oral healthcare by providing you with simply the best. To put your best smile forward after finishing your Invisalign treatment or having your braces removed, our team will fit you for a custom retainer. Your orthodontic treatment is not over after your treatment completion. To keep your new beautiful and straight smile you will need to wear your retainer for as long as your orthodontist recommends. After your braces are removed and you’ve worn your last set of Invisalign clear aligners, your teeth have to be stabilized to ensure that they will not shift while the surrounding gums, bone and muscle adjust to the new positioning of your teeth. Even though your orthodontic treatment has successfully straightened your teeth, they are not fully settled into their new positions. 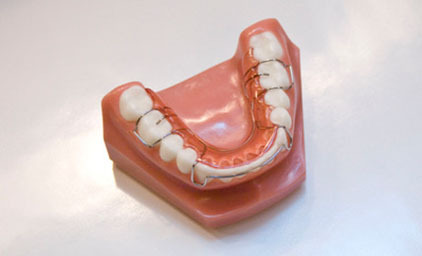 A retainer will hold your teeth in place and is essential to your orthodontic treatment. After three months of being dedicated to wearing a retainer full-time, patients will wear their retainer at home and at night for nine months. 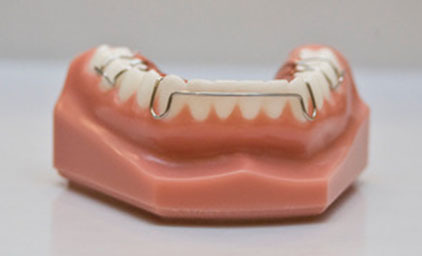 We ask that patients wear their retainers indefinitely during sleep hours after completing the first year of treatment. Over time, teeth tend to shift. Wearing your retainer every night will ensure that your teeth remain straight. Your retainer will feel awkward for the first couple of days, but just like your braces or aligners, they will adapt shortly after. It will be difficult to speak in the beginning, and you may notice a lisp. Dr. Bronsky recommends you practice speaking by reading aloud or singing as much as you can. As usual, you will need to keep good oral hygiene as part of your normal routine. Call Dr. Bronsky For Invisalign Or Braces Today! Whether you are an adult looking for orthodontic treatment for yourself or your teen, you can count on Bronsky Orthodontics to deliver effective braces or Invisalign treatment in New York City. If you have made the choice to start the journey towards that beautiful smile you deserve, give us a call at (212) 758-0040 or submit a question. Our offices are conveniently located in TriBeCa and the Upper East Side. The results we create for you will leave you smiling for a lifetime!